CASAs collect information that helps the judge make the best decision for a safe, caring, and permanent home for children involved in the juvenile justice and child welfare systems. CASAs are everyday citizens who are trained and appointed by the court to advocate for the safety and well-being of children who are victims of abuse or neglect. CASAs are assigned at the earliest stages of a case and continue to be an advocate for the child through their time in the court system. CASAs work collaboratively with all parties on the case, for the best interests of children. CASAs are only assigned to 1-2 cases at a time and spend approximately 10 hours a month on a case. The CASA is responsible for the investigation, facilitation, advocacy, and monitoring of the assigned child's case of abuse, neglect, and/or dependency to represent the child's best interests. Volunteer Requirements: At least 21 years of age; have access to transportation; pass screening; complete training; respect and relate to people of various backgrounds; gather and record factual information accurately; communicate effectively; maintain objectivity/perspective; work within established program policies and procedures and accept supervision from program staff. 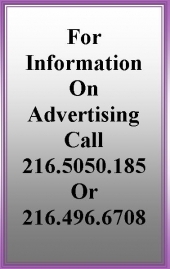 Those interested in becoming a CASA, visit www.cfadvocates.org to apply or call 216.443.3377 for more information. Michele Blazina is the CASA Program Director. 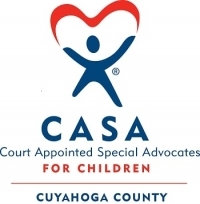 CASA of Cuyahoga County is a program of Child and Family Advocates of Cuyahoga County (CFACC).